As blush and ivory are still the top choice of wedding colours by our brides into 2018, we thought we’d feature one of our prettiest weddings illustrating this colour theme from 2016 using peonies. 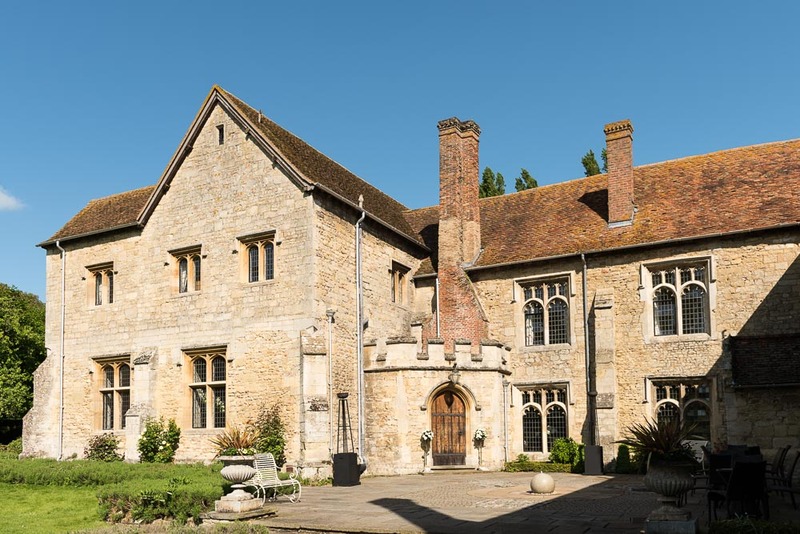 On a very hot day in June, my assistant Tracy and I arrived at Notley Abbey ready to work on Vicki and Mark’s wedding day! Vicki’s mother is a local lady who orders her Christmas table flowers from me. 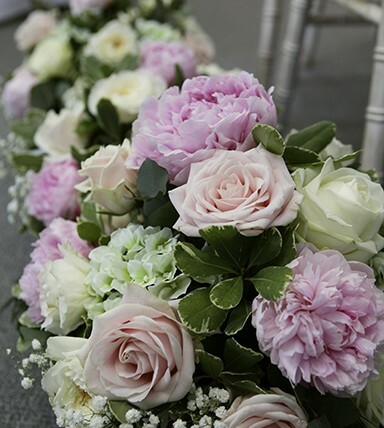 This time, we swapped wreaths of red for bouquets of pastels and pinks. 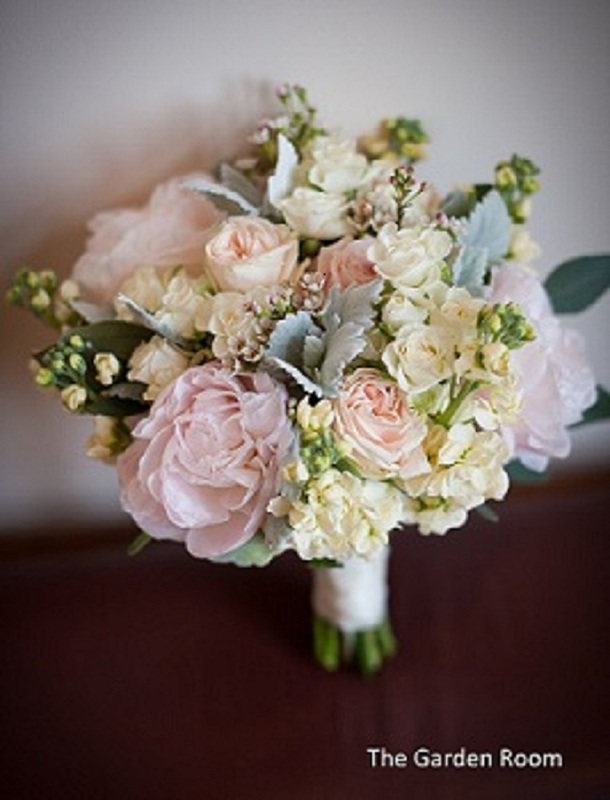 The bouquets’ focal flower were the palest of pink peonies, aptly named “Mother’s Choice”. 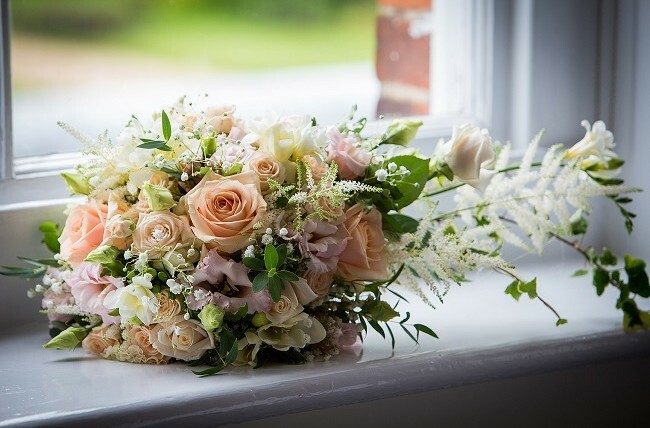 These soft flowers were chosen not only for their beauty but also for their availability. 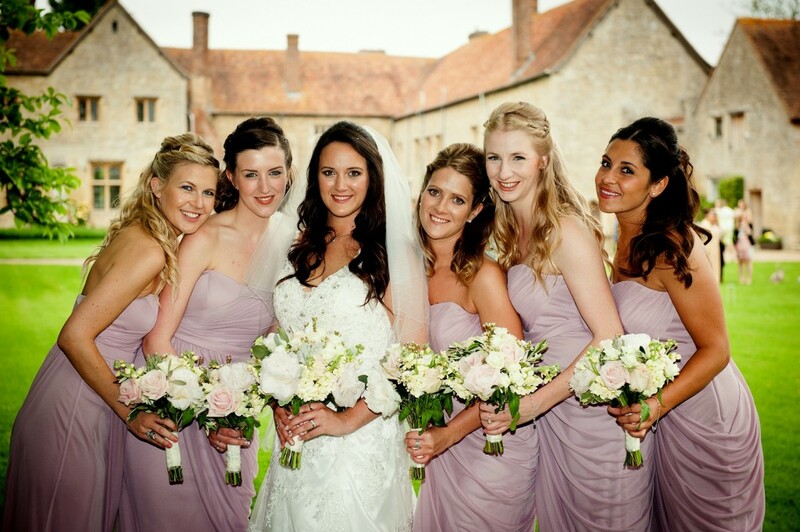 They are only in season from May to June – a perfect choice for a summery June wedding. 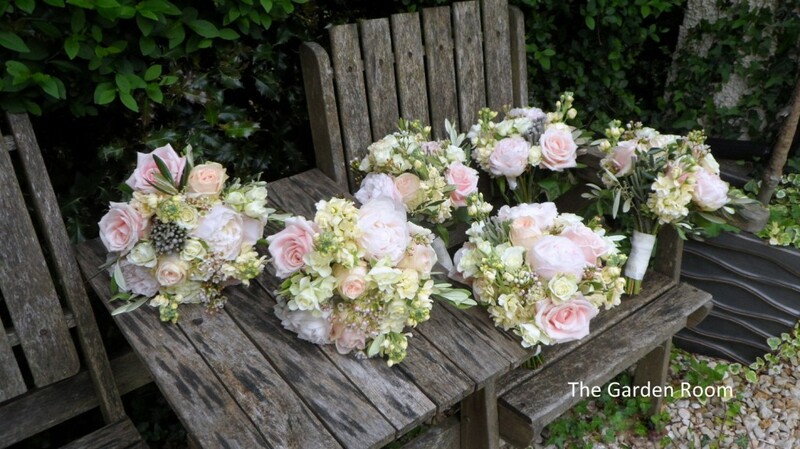 The peonies were surrounded by several types of roses; champagne-coloured “High and Tender”, pale pink Sweet Avalanche and white spray roses. White Wax Flower and grey Brunia Berries were included for variation, all of which were set off by pale-grey foliage. 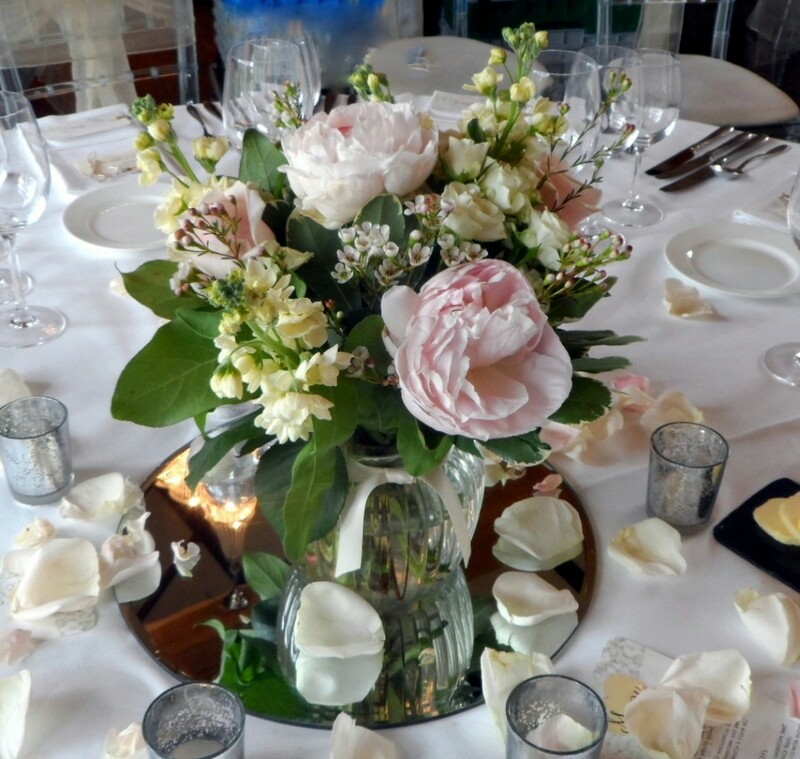 The table flowers at the reception were set in gorgeous old fashioned “sweetie jars” with ribbed glass. These were placed on mirror plates and surrounded by rose petals and silver tea light holders. We pulled in some darker greens for contrast and to help them stand out in the cream-coloured room. Pedestal flower arrangements framed the ceremony room and were later moved for the reception. We added Cafe au Lait dahlias and white Gladioli to the mix of flowers for these arrangements to add height and impact. 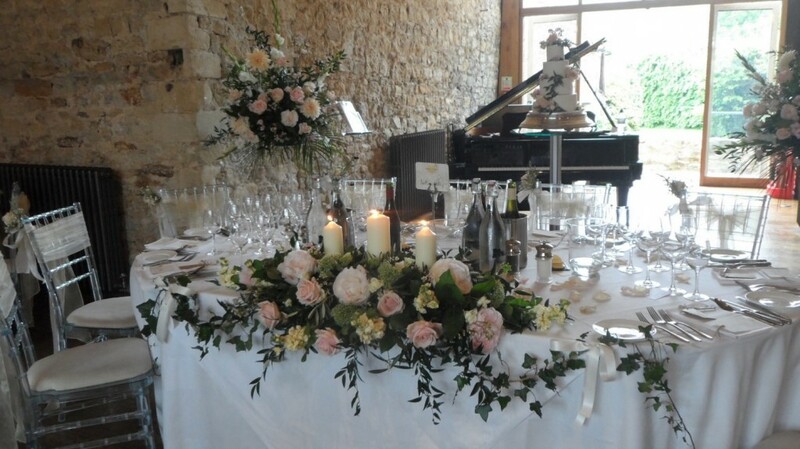 The top table flowers included candles and a garland of ivy draped across the front edge of the table. 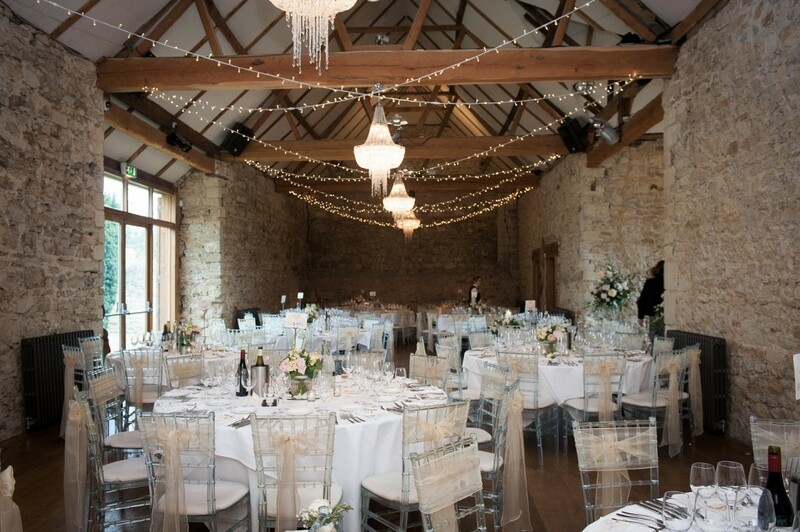 The venue choice, Notley Abbey, is an historic country house on the border of Buckinghamshire and Oxfordshire, and has been home to both Hollywood and royalty over the centuries. The listed building was transformed in 2006 to its original glory and now the sand-coloured walls and turrets house a modern but characteristic interior. 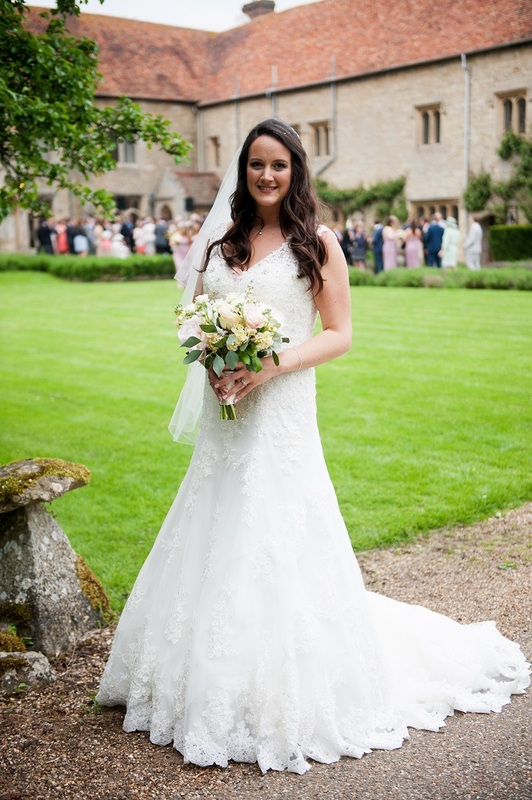 It was the perfect background for Vicki’s elegant country wedding. While stationed in the newly renovated kitchen, we watched the guests arrive. 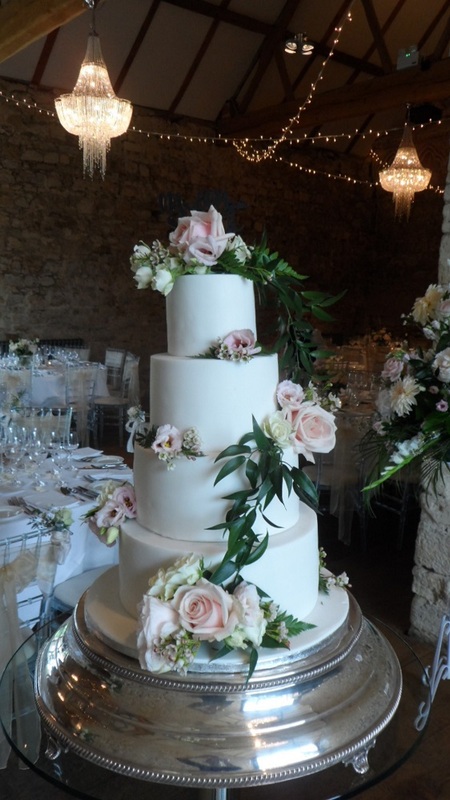 We occupied ourselves by decorating the four-tiered white cake with the same roses as used in the bouquets. Save some money on your cake decorations and use fresh flowers instead of sugar work! Fresh flowers will work their magic on a plain cake, which can be purchased from a supermarket such as Waitrose or Marks and Spencers. 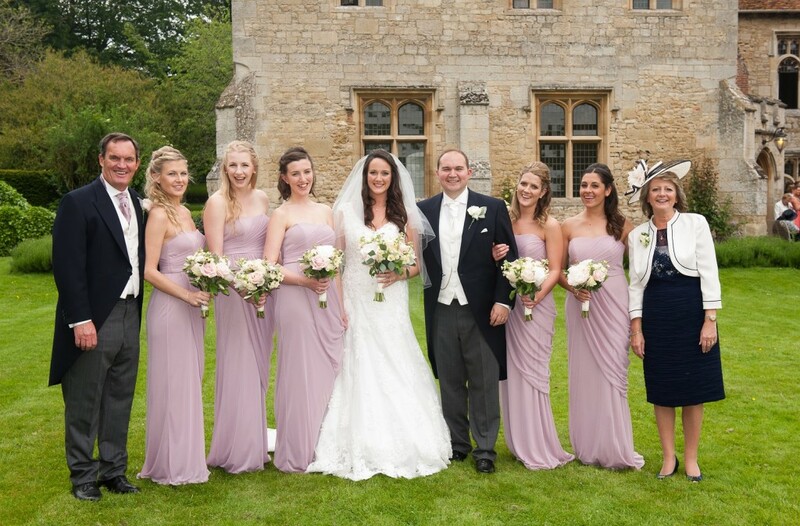 Take a look at the Buttonholes and Finishing Touches gallery to see what we can create for you.